Hey guys! Today is not your regular post, and it will actually have a part two coming up real soon too! As some of you may know, one of my other passions next to fashion and writing, is photography. I have had my own photography page on Facebook for quite some time now, and I regularly shoot (or at least, I used to). The photographer-side of me has been slacking a little lately, and I wanna jump back into it from now on. I have some concepts in my mind, and I'm dying to develop them. This Sunday, I'm actually already shooting with a very good friend of mine, and you'll see the results on here very soon. 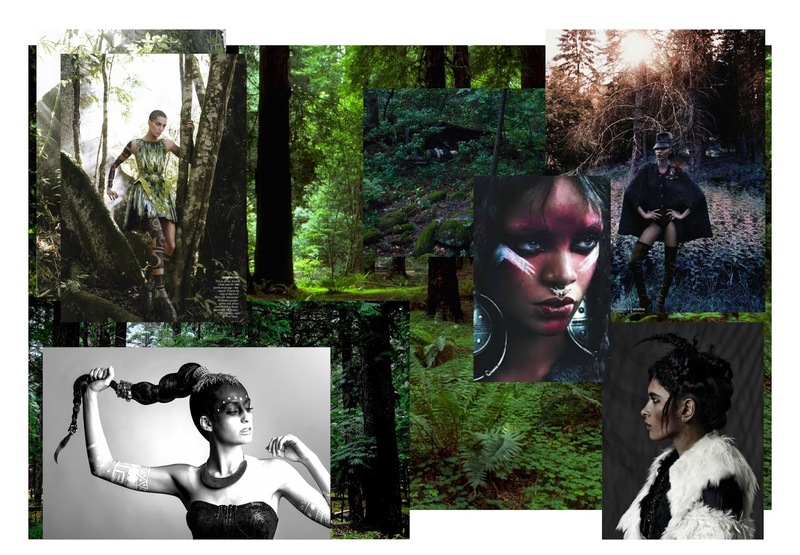 For now, I wanted to share the moodboard/inspiration for this shoot. I wanted to depict a warrior-woodland princess kinda gal, who maybe has lived a while in the wilderness for some time, and create a style story around that. What would she wear? How would her make-up be done? I started gathering pics on good old trusty Pinterest, and I started my digital craft-session! The moodboard you see here is the result. I am very excited to get back into shooting, and I can't wait to share some results with you guys. What do you think? Do you like these kinda posts? Shorter maybe, yes, but also inspirational? Or nah? Well, don't expect me to be delivering a moodboard every single week, I only make one every once in a while, when I need to visualise my thoughts, and I'm not extremely good at them either. But still, tell me what you think!